While Hoya griffithii blooms June though August in its natural range, for me it only blooms in the late fall, or early winter. 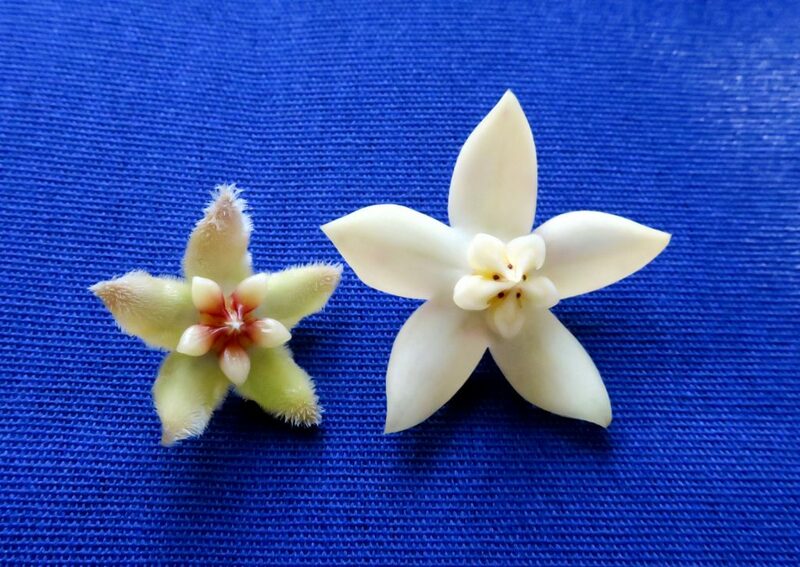 Here is a flower comparison photo showing the differences between H. Halconensis and H. griffithii. Hoya halconesis on the left and Hoya griffithii on the Right. This entry was posted in Hoyas on December 9, 2016 by Doug.